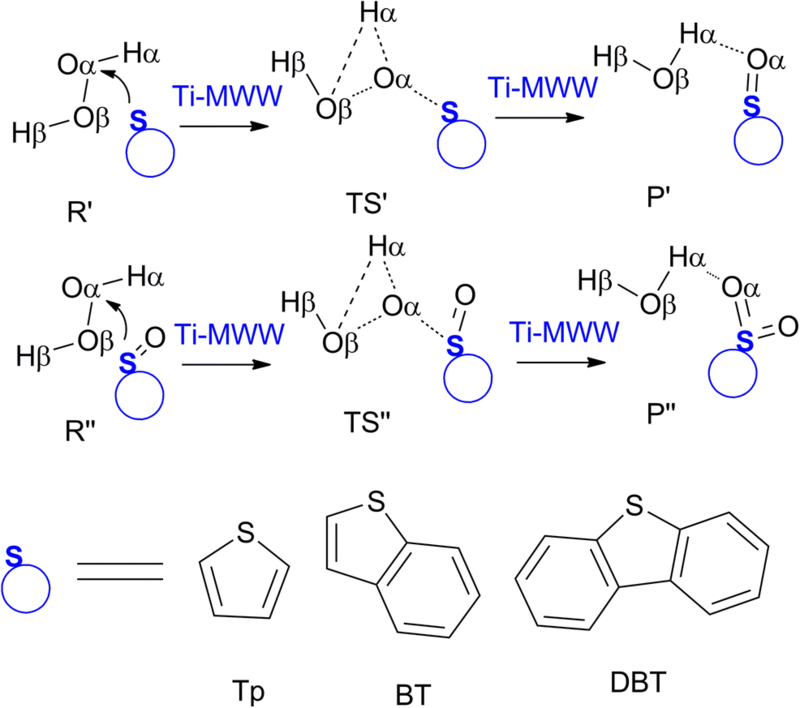 The catalytic mechanism of Ti-MWW in oxidative desulfurization with H2O2 was investigated by quantum chemical calculations. A defect model (Ti-d) and a perfect model (Ti-p) were proposed for Ti-MWW, and two possible reaction pathways starting from Ti-d and Ti-p were considered. On Ti-d, the hydroperoxy bidentate intermediate TiOOH (η2) was formed by activating H2O2 at the Ti center. Afterwards, aromatic sulfides were oxidized to sulfoxides and to ultimate sulfones by TiOOH (η2). The order of oxidation reactivity was benzothiophene > dibenzothiophene > thiophene, conforming to experimental observations. The Ti-p pathway proposed for oxidation of sulfides with H2O2 resulted in higher energy barriers compared to the Ti-d pathway. Natural bond orbital charge analysis was carried out to understand the charge distribution. 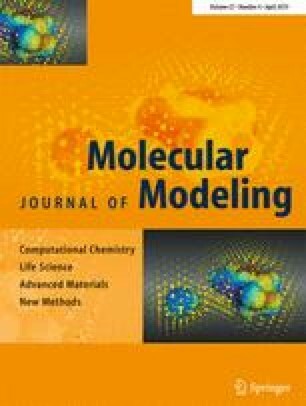 This work showed that the defective Ti-MWW model for oxidative desulfurization was more active than the perfect model. The online version of this article ( https://doi.org/10.1007/s00894-019-3989-4) contains supplementary material, which is available to authorized users. National Natural Science Foundation of China (21403038), Guangdong Provincial Natural Science Foundation (2015A030313892, 2014A030307048), and Petrochemical Industry Transformation and Upgrading Technology Innovation Public Service Platform in Maoming City (2016B020211001).